Toronto Film Society presented The Penguin Pool Murder (1932) on Monday, August 29, 2016 in a double bill with Topkapi as part of the Season 69 Summer Series, Programme 7. Production: RKO Radio Pictures. Producer: Kenneth Macgowan. Director: George Archainbaud. 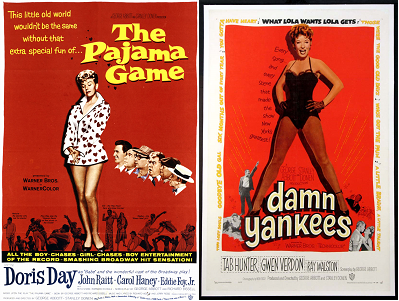 Screenplay: Willis Goldbeck (screenplay), Lowell Brentano (story). Based on: The Penguin Pool Murder by Stuart Palmer. Cinematography: Henry W. Gerrard. Music: Max Steiner. Editor: Jack Kitchin. Cast: Edna May Oliver (Miss Hildegarde Martha Withers), Robert Armstrong (Barry Costello), James Gleason (Inspector Oscar Piper), Mae Clarke (Gwen Parker), Donald Cook (Philip Seymour), Edgar Kennedy (Policeman Donovan), Clarence Wilson (Bertrand B. Hemingway), James Donlan (Security Guard Fink), Gustav von Seyffertitz (Von Donnen/Dr. Max Bloom), Joe Hermano (Chicago Lew), Guy Usher (Gerald Parker), Rochelle Hudson (Parker’s Telephone Operator). Wisconsin-born Stuart Palmer changed his life forever in his mid-twenties when he launched a series of detective novels featuring Hildegarde Withers, umbrella-wielding spinster schoolteacher and amateur sleuth, and Inspector Oscar Piper of the NYPD, the cigar-chomping vulgarian. He can’t abide Hildy, with her awful hats and her insistence on correcting his grammar and meddling in his cases, but can’t do without her either. Voila! The genre’s first Odd Couple. RKO bought movie rights to the series soon after the first Withers novel was published, and the first of its six Miss Withers films, The Penguin Pool Murder, was based on that debut book. Director George Archainbaud handles the opening scene beautifully, and the casting of Edna May Oliver and James Gleason as Miss Withers and Inspector Piper is perfect. The rest of the picture is not as visually imaginative as the first reel but it keeps nicely on the move, with plenty of plot surprises and lots of caustic repartee between Oliver and Gleason and also between Oliver and the children in her class. The first three pictures of the sextet were the best: Oliver was replaced in the fourth by Helen Broderick and in the fifth and sixth by ZaSu Pitts. 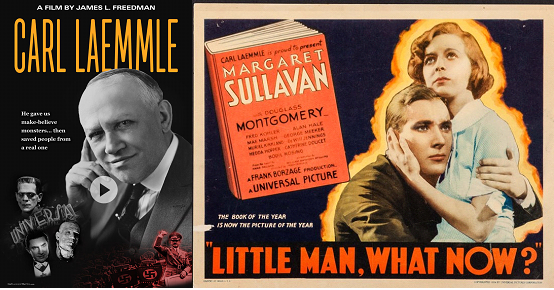 By the time the series ended, in 1937, Stuart Palmer had come to Hollywood and begun a prolific screenwriting career which was to include scripts for cinematic adventures of Bulldog Drummond, the Falcon and The Lone Wolf. He also continued to write Miss Withers novels off-and-on until his death in 1968. The body of unscrupulous stockbroker Gerald Parker suddenly appears in the penguin tank at the aquarium. Naturally, suspicion falls on his wife and her boyfriend, who were present. Inspector Piper investigates with the unsolicited aid of teacher Hildegard Withers, a witness who has taken an interest in the case. Piper develops a grudging respect for Miss Withers’ acumen (and sharp tongue) as they search among the red herrings for the aquarium killer. Born Edna May Nutter in Massachusetts. She left school at the age of fourteen to follow a stage career, first appearing on Broadway in 1917, in Jerome Kern’s musical comedy Oh, Boy! 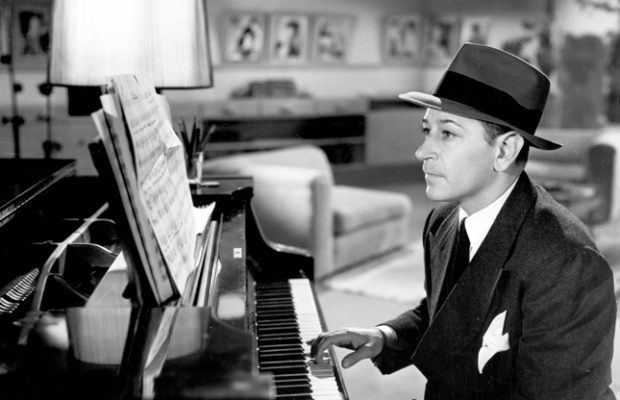 Other Broadway appearances included The Cradle Snatchers in 1925, in a cast that included Humphrey Bogart, and the original 1927 production of Show Boat. Her film début was in Wife in Name Only in 1923, and she continued to appear in films until 1941, mostly in supporting roles, though she starred in ten films. She was most successful in mystery comedies as spinster sleuth Hildegarde Withers, based on a popular series of novels by Stuart Palmer. 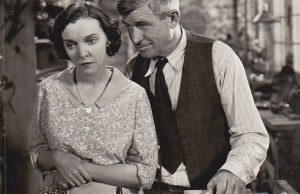 The Penguin Pool Murder was followed by two sequels, in 1934 and 1935, but when she left RKO for MGM, her role in the series was taken by ZaSu Pitts, with much less success. She appeared for MGM in two Dickens adaptations–A Tale of Two Cities and David Copperfield (both 1935)–and two musicals, Second Fiddle and the Astaire/Rogers The Story of Vernon and Irene Castle. Other important roles were in John Ford’s Drums Along the Mohawk (1939) and the 1940 Pride and Prejudice. She died in 1942, on her 59th birthday. Hildegard Withers was by no means the first of the series of elderly spinster detectives. She was preceded by Rachel Innes in Mary Roberts Rinehart’s The Circular Staircase, in 1908 (also known as The Bat), while Agatha Christie’s Miss Marple had made her first appearance in a 1927 short story and then the novel Murder at the Vicarage, in 1930. 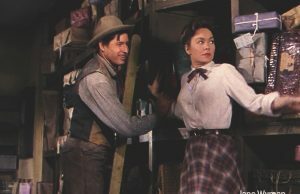 Gleason partnered Oliver in her three Hildegarde Withers roles, as Police Inspector Oscar Piper, alternately infuriated and admiring of her unorthodox detective methods. Though he asks her to marry him and she accepts at the end of Penguin Pool, the studio seems to have forgotten this in the sequel Murder on the Blackboard, where she is still single. His other film roles, usually as tough but warm-hearted characters, include The Clock (1945), A Tree Grows in Brooklyn (1945), and Frank Capra’s Meet John Doe (1940). He also appeared in the four later “Hildegarde” films, after Edna Mae had left the series. A vivacious blonde who performed in nightclubs and vaudeville from a young age before moving to legitimate theatre in 1926, where she appeared in The Noose along with her friend Barbara Stanwyck. She moved successfully into film in 1929, in Lewis Milestone’s The Front Page, and then with a fine performance in the first version of Waterloo Bridge (1931)–shown at this year’s TFS Eastman Museum film festival. 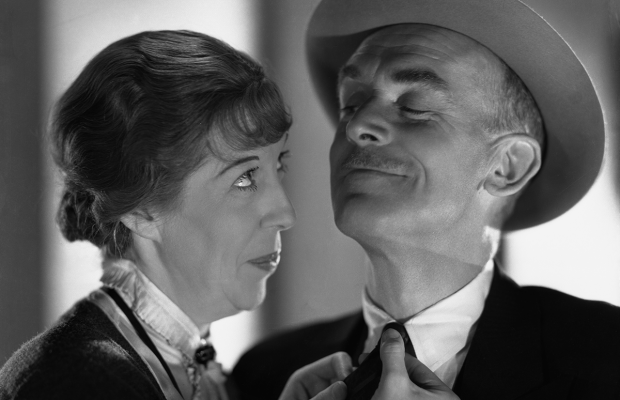 She is probably best known, however, for having a grapefruit thrust in her face by James Cagney (a close friend, in real life) in The Public Enemy (1931). Her career began to decline in the mid-1930s due to ill health and a car accident, plus a nervous breakdown and the restrictions on her kind of roles imposed by the Production Code, and she was reduced to appearing in minor parts in Westerns and occasional television appearances, before retiring in 1970. 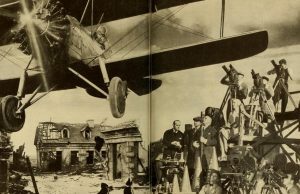 Born in France, he came to the United States in 1915, working on stage as an actor and manager, and making his own directorial film début in 1917, after which he directed over one hundred films, most of them forgettable potboilers, though The Lost Squadron (1932) in particular proved an exception. Towards the end of his career, he specialized in Westerns starring Hopalong Cassidy and Gene Autry, as well as TV productions.